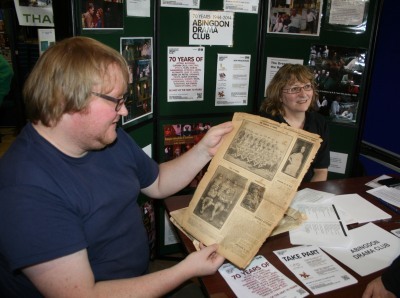 Abingdon Drama Club, in their 70th anniversary year, were delighted to be presented with a package of press cuttings and programmes from a predecessor, The Guild of Abbey Players – including a front page Oxford Journal Illustrated feature on Drama in Abingdon from 1917. 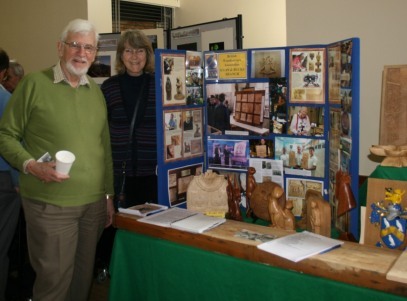 The Ox and Bucks Woodcarvers are also looking back to those years a century ago and are about to embark on a new carving with five tableau representing scenes from WWI. They were asking people to vote for the scenes they wanted on the tableau. 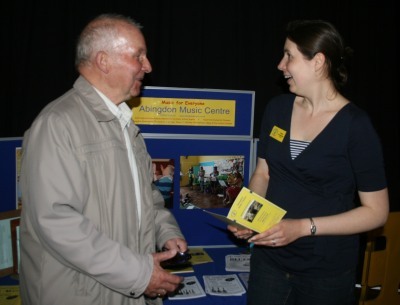 Helen Eccleston of Abingdon Music Centre is back as director after having a baby. Another teacher is now conducting the Community Orchestra. So I guess Helen will be doing a lot, but not quite so much as before. 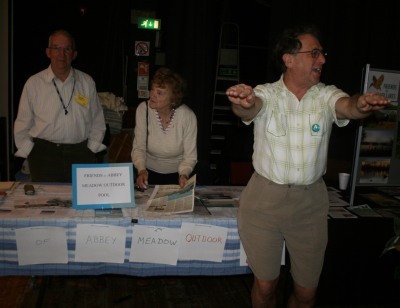 The Friends of Abbey Meadows Outdoor Pool know the pool is oversubscribed in hot weather and under used when the temperature plummets. They want to get better attendance when the weather is not so enticing by asking that water is kept a comfortable 22deg C, that the pool and surrounds are kept tidy, and by publicising that swimming is free to under 16s. 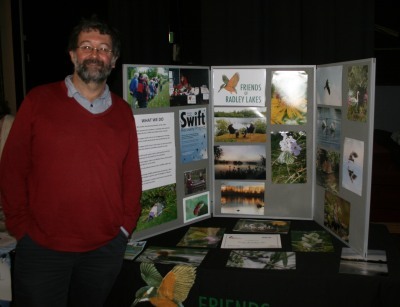 The Friends of Radley Lakes were recently presented with an award for their work in protecting the environment. 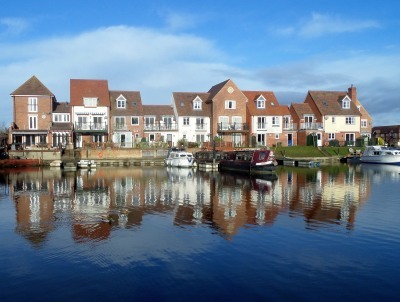 They first fought to save the lakes and now work with the Earth Trust to manage Thrupp Lake. 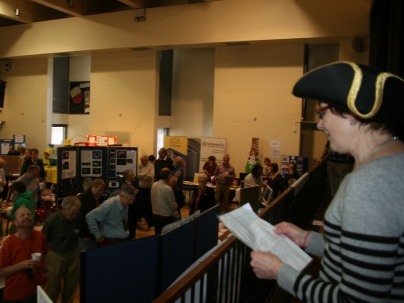 In the Guildhall today there was the biannual Abingdon Clubs and Societies Day. 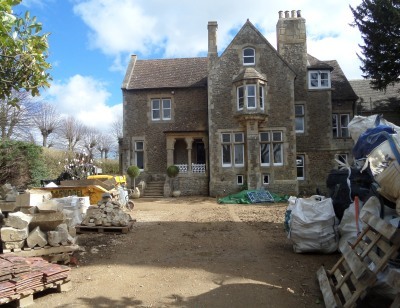 At their 14th March meeting, HLF rejected The Guildhall phase two redevelopment which included the 100 seat cinema . 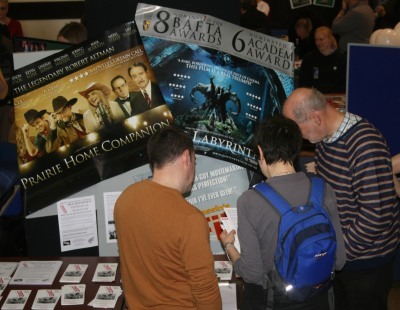 The ABCD Film Society have just finished their current annual programme. They meet every Thursday at the Resource Wellbeing Centre, Audlett Drive. 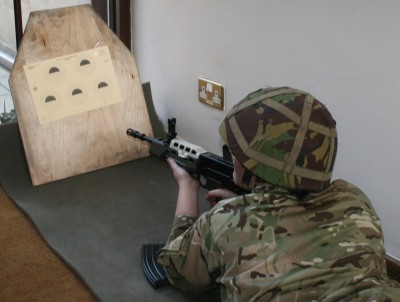 Members vote and post comments about the films they watch, and this year ALL QUIET ON THE WESTERN FRONT was a favorite. as were the Path Finders Canoe Club . 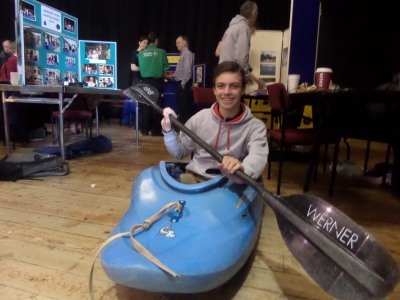 Pathfinders Youth Canoe Club exists to provide kayaking and canoeing opportunities for young people from 11 to 18 years. 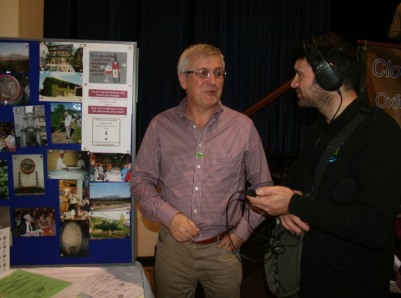 Abingdon Xtra were there interviewing stall holders including the Abingdon Wine Circle who meet at Preston Road Community Centre. The wine circle gives members the chance to try wines which may be too expensive, or they are not sure about, in a very social setting. 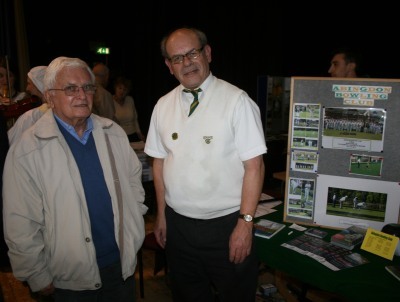 Abingdon Bowling Club, who celebrated their centenary last year, have open days, for new people to try bowling, on Friday May 16th from 5:00pm, and Saturday May 17th from 10:00am. This is the first time that I have been down to the Marina Park for quite some time. 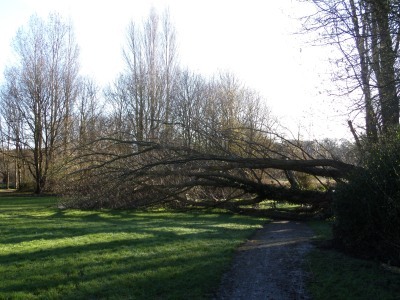 There is a tree down in the park, and the paths are a little slippy. 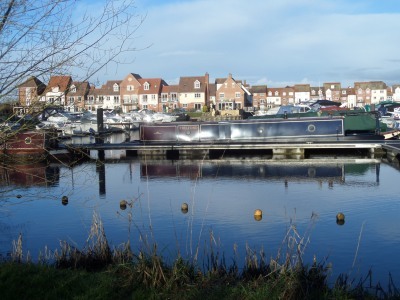 But after much of the winter under water it is now walkable without wellies. Many of the potholes along the access road / footpath to St Helen’s Mill have been decorated with green paint – an indication that they are about to be resurfaced. 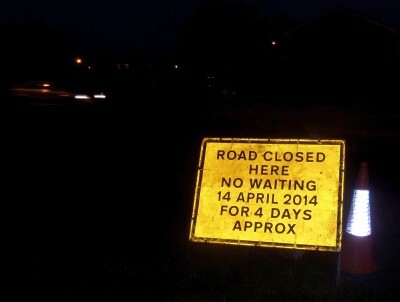 Signs have also sprung up along Preston Road saying that it will closed for 4 days approx in mid April for resurfacing. I gather that the works won’t be during the rush hour, but during the day. 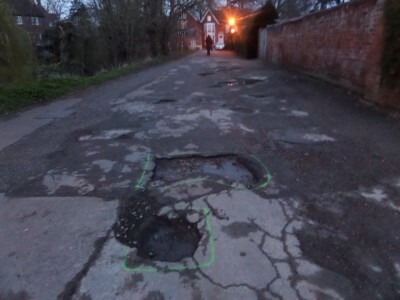 These repairs may have been already planned, or it could be that Abingdon is benefitting from some of the £4.7m (reported in this morning’s Abingdon Herald) that Oxfordshire County Council have received, unexpectedly from central government, to repair potholes. 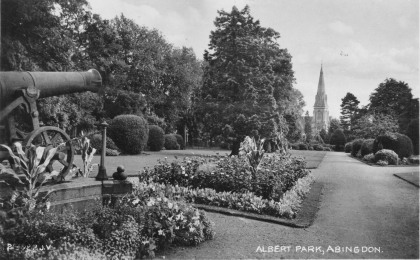 I have this old Valentine Post Card showing a cannon in Albert Park facing Trinity Church – a line of site that is nowadays obscured by bushes and trees. I think somebody said the cannon got melted down during WWII along with a lot of railings round the church. 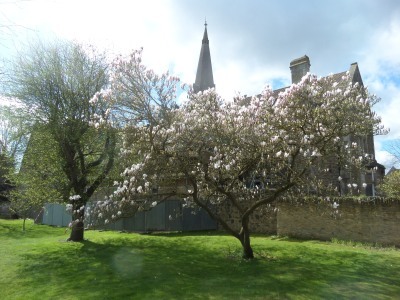 Looking across the Abingdon School playing field, a magnolia partly hides the church and Trinity House, next door, which now has a new two storey extension and is being sympathetically refurbished. According to D.B.Tranter’s History of Trinity, John Creemer Clarke ( a founding member of Trinity, clothing manufacturer, and MP) bought Trinity House on a nine-hundred year lease in 1873 for use as a church manse, and when he died it was given in trust to the Church and served as manse until the 1970s. From that time it has been a private home, unlike a lot of the large houses round Albert Park which are too big for modern families.